HTC the Tiwanese giant and mobile leader has launched its HTC USonic compatible new flagship smartphones U Play in India. 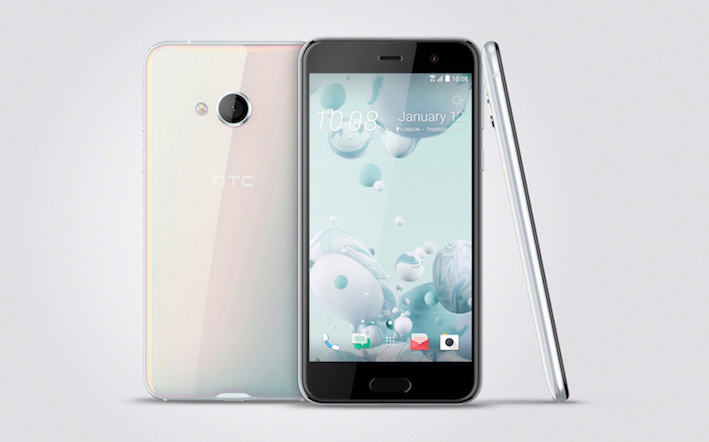 HTC U Play is a 5.2 inches Smartphone that has 1080P Full High Definition Super LCD Display with Gorilla Glass Protection on its top of the screen. It has MediaTek Helio P10 Octacore 64Bit Processor. It is Dual 4G Nano Sim handset with dual standby that support both FDD and TDD 4G bands available in India. Its Second Sim Slot is a Hybrid Sim Slot that also support a Micro SD Card for storage expansion. It is new innovated feature loaded smartphone having Dual Display for faster and easy multitasking. It has 4GB of RAM and 64GB of internal storage with an option of expandability upto 2TB more space via microSD card. It runs over latest Android Operating System Naugat v.7.0 with HTC Sense UI – HTC Sense Companion. This handset has 16 MP BSI Sensor Primary Camera with Optical Image Stabilization and Phase Detection Auto Focus features and f/2.0 aperture speed with 28mm focal length. It has Auto HDR, 270° Panorama, Pro Mode with Manual Control, Long Exposure and RAW format support, Hyperlapse, Zoe Capture, Video Pic, Continuous Shooting features in it. It also has 16MP BSI Sensor UltraPixel™ Front Selfie Camera with f/2.0 aperture speed. It also has camera modes like Live Makeup, Auto HDR, Auto Selfie, Voice Selfie, Live Make-UP, Selfie panorama, Video Pic features. It has 2G / 2.5G GSM / GPRS / EDGE, 3G UMTS, 4GLTE network support and for connectivity it has Bluetooth 4.2, WiFi, USB 2.0 Type C, NFC, DLNA, Miracast, HTC Connect features. Sensors given in this handset are Ambient Light Sensor, Compass Sensor, Fingerprint Sensor, Gyro Sensor, Motion G-Sensor, Proximity Sensor and Sensor Hub for activity tracking. It also has features like GPS and GLONASS. HTC U Play has some additional features like Dual Display to enable multitasking very easy – Motion Launch – Flip to mute – Pocket Mode – Quiet Ring On Pick-Up – Display Color Personalization. This Smartphone handset packs a 2500mAh Lithium Polymer battery with Power Saving and Extreme Power Saving Mode and Fast Charging features. Dimensions of the Smartphone are 145.99mm X 72.9mm X 3.5-7.99mm and it weighs 145grams.